1. 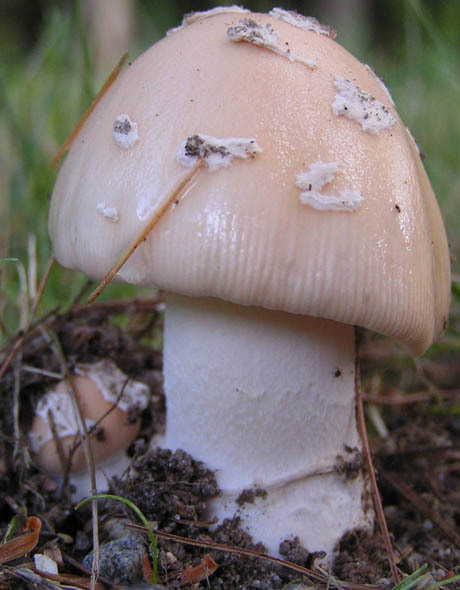 Amanita sp-N60, York Co., Maine, U.S.A. (RET 449-6). 2. 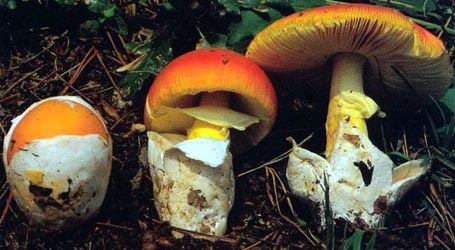 Amanita sp-N60, York Co., Maine, U.S.A. (RET 449-6). 3. 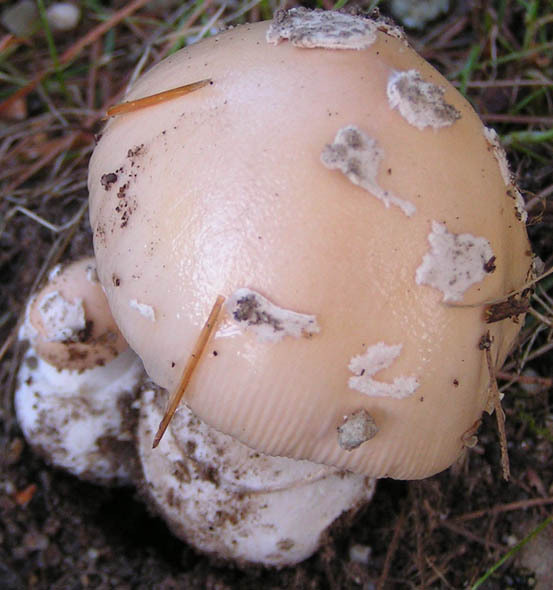 Amanita sp-N60, York Co., Maine, U.S.A. (RET 449-6). intro For the moment, please see the technical tab of this page for what data is available on this species. spores The only existing collection is immature. From genetic data, the spores are expected to be inamyloid. The following material is based on genetic sequences (including bacterial cloning) produced under the direction of Dr. K. W. Hughes (University of Tennessee, Knoxville) and other original research of R. E. Tulloss. ecology A pair. Under large, old growth Pinus strobus. discussion The only material of this beautiful pink-capped species is immature. It appears to be segregated from existing sequenced taxa by its nrLSU. With the most similar taxa (according to an nBLAST of GenBank data) being the western species A. breckonii and a collection identified as A. praecox by B. E. Wolfe. The nrITS loci have not homogenized in this species; in order to have sample nrITS, bacterial cloning was required. Since this is not the case with the nrITS sequence obtained from the isotype of A. breckonii, the necessity of cloning distinguishes the present species from A. breckonii. In the cloning process, eight cultures produced four distinct sequences. The closest sequences in GenBank were from taxa presumed to be pantherinoid due to the species names applied to the near-match sequences. Unfortunately, the nrITS sequences posted by Wolfe for his material identified as A. praecox have quality problems of unknown cause(s) including within the relatively conserved 5.8S region. Further research is clearly necessary. Well-documented, mature material is needed in order to make further progress in describing the present taxon. select a collection to review/add spore measurements..#716036. Herbert Baker, #s.n.=>mushroomobserver # 24776#716037. Herbert Baker, #,, U.S.A., MAINE, York Co., unkn. loc.#716078. Herbert Baker, #s.n.=>mushroomobserver # 24776#716079. Herbert Baker, #,, U.S.A., MAINE, York Co., unkn. loc.#722573. Herbert Baker, #s.n.=>mushroomobserver # 24776#722574. Herbert Baker, #,, U.S.A., MAINE, York Co., Ocean Park, Guild Park#722577. 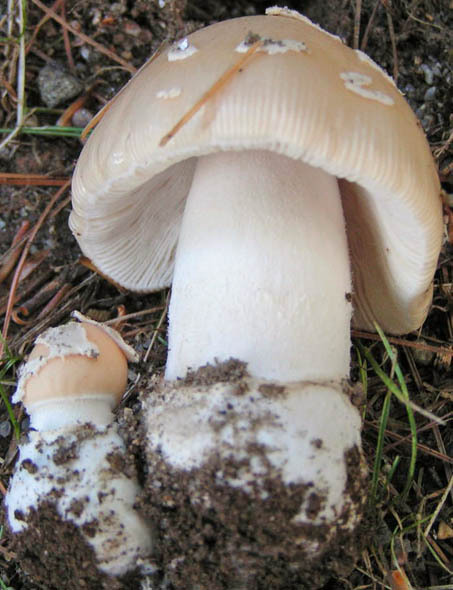 Herbert Baker, #s.n.=>mushroomobserver # 24776#722578. Herbert Baker, #,, U.S.A., MAINE, York Co., Old Orchard Beach, Ocean Pa..#722579. Herbert Baker, #s.n.=>mushroomobserver # 24776#722580. Herbert Baker, #,, U.S.A., MAINE, York Co., Old Orchard Beach, Ocean Pa..#786280. Herbert Baker, #s.n.=>mushroomobserver # 24776#786281. Herbert Baker, #,, U.S.A., MAINE, York Co., Old Orchard Beach, Ocean Pa..